1. Go to your Downloads on ThemeForest -> Downloads. 2. 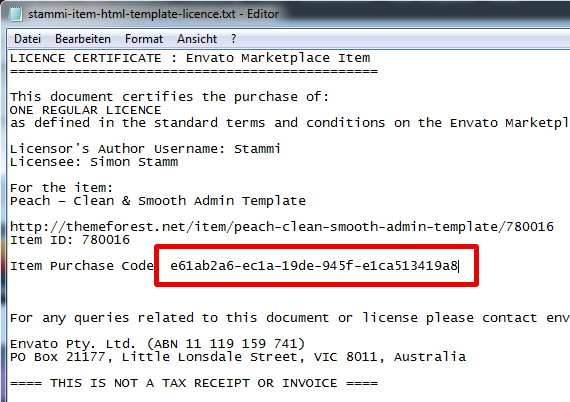 Click on "Download", then on "License certificate & purchase code" and open it with Notepad or an other text editor. 3. Find the row with "Item Purchase Code" and copy it.